With real estate, you can invest a relatively small amount of money to control a large asset. 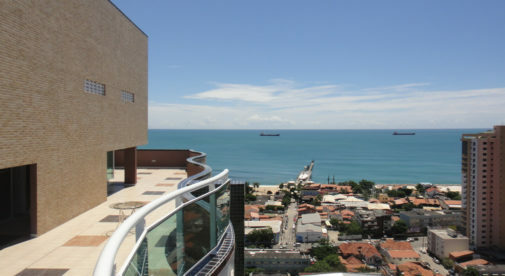 In parts of north-east Brazil for example, the value of some condos can increase by 60% in two years. Better still, you could control this condo over the two-year period with an investment of just 20% of the purchase price. Real estate is also a great way to protect hard-won capital. Your asset is real, productive and has a use. You certainly can’t print any more of it. Historically, land has been one of the best hedges against inflation and turmoil. People will always need somewhere to live. Price bubbles may come and go…and come again. Meantime, your real estate always retains an intrinsic value. Brazil, for example, is now a “middle class” country. Half the population now falls into the “middle class” bracket. Credit and mortgage finance is opening up. As soon as people move into that “middle class” category, they become consumers. That includes putting themselves in the market for a shiny new condo. And the new working folks need to work somewhere…an office, a factory, or maybe even a Starbucks! Think about what this means: a surge in demand for these categories of real estate. We know from what we have seen elsewhere that this means prices should rise—as should the income you derive from these assets. There has been a flood of money into the stock markets of these new powerhouses. Some markets seem expensive. Yet prices of real estate may not reflect this. You can bet on these powerhouses effectively at a lower valuation. Real estate has multiple uses. Land you buy can be used for agriculture or forestry while you wait for the people, the tourists or industry to come. The new middle classes in China, Brazil, and India are eating more meat (which means more land is needed to grow feed such as corn). They also need wood for construction and furniture in their new homes. Real estate investing is fun. Your real estate investment can double as a personal retreat, part-time residence, or vacation getaway. You can enjoy it while it’s appreciating in value…generating rental returns…and safeguarding your net worth.